Of all possible times to be faced with a surprise, the months immediately following the purchase of a home are a time when it’s wanted the least. Buying a home is a big decision, and it’s wise to be wary of any property that you don’t understand down to the last detail. 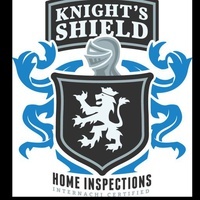 That’s why at Knight’s Shield Home Inspections LLC, we offer comprehensive home inspections that will reveal any visible and accessible defective areas of a property—ensuring that you’re not caught off guard by any unforeseen repair expenses in the days, weeks, or months after you’ve closed on a home.